Guitarist Doyle Dykes: Through the ages, Jews have been accused of and credited for thinking outside the box. While others often color within the lines, Jews have painted as if there were no lines. This is odd, says Abq Jew, since traditional Judaism has always insisted on lines; indeed, on "fences" to protect the lines. So on Wednesday evening last, Abq Jew went out (a rare occurrence in itself) to listen to master finger-picking guitarist Doyle Dykes perform at Grandma's Music & Sound, here on the Westside of Albuquerque. About whom more later. But that kind of box is not where the phrase comes from. (Abq Jew knows, because he was there when the phrase was invented.) The phrase actually comes from this - the 9 Dots Puzzle. The setup is clear; the rules are easy to follow. But most people (including Abq Jew) just can't figure this puzzle out the first hundred or so times they try. Once people are presented with the solution, however, they ask themselves why they didn't see it. After all - it's obvious. Why don't people see the solution to the 9 Dots Puzzle? 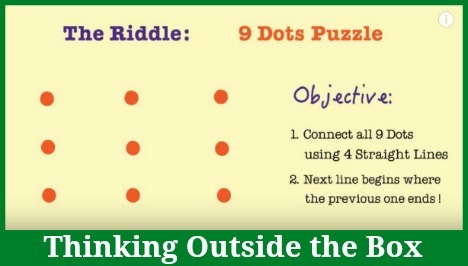 Because they (mentally) draw a box around the 9 dots and tell themselves that they can't draw a line beyond - outside - that box. So it is with traditional Judaism - and so it is with guitars. When Abq Jew plays his guitar - a beautiful Larivee OM-03 purchased from Stan Burg of Guitar Vista in the heart of Nob Hill - he sees the fretboard as a box. 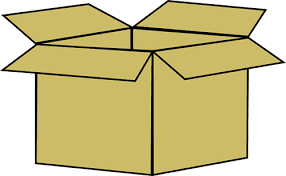 Inside that box - a defined space - Abq Jew places traditional chords and chord progressions to make a song. 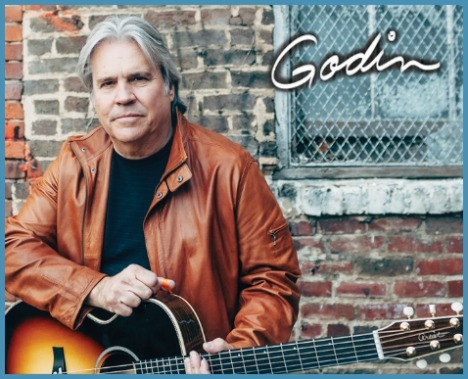 Doyle Dykes doesn't play his guitar (he used a Godin Spectrum and several other Godin and Seagull models - which he was promoting - during his Grandma's performance) anything like that. For Doyle, there are no boxes. His fretboard is an open field. Here, for your enjoyment and amazement, is a video of Doyle Dykes playing his own mashup of Classical Gas and 25 or 6 to 4. What, Abq Jew hears you ask, did Abq Jew personally take away from all this? Abq Jew should play his guitar more. Abq Jew should give it up and sell all his instruments. Every musician knows that's the only way to make money from music. And besides, what's the use? There is another takeaway, however. And it shows up (for those who can see it) in the URL of Godin's What's New page. 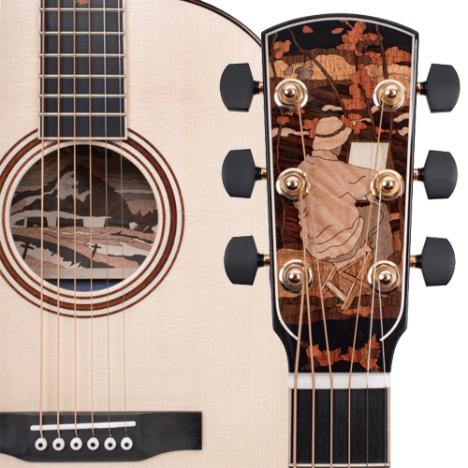 50th Anniversary "The Group of Seven Guitar Project"
How's that for a guitar-based theology?